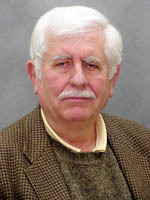 Dr. Werner Soedel is Professor Emeritus of the School of Mechanical Engineering at Purdue University. He obtained his master’s degree and Ph.D. in mechanical engineering from Purdue in 1965 and 1967, respectively. Dr. Soedel joined the Purdue faculty as an Assistant Professor after earning his doctorate and remained there for the entirety of his teaching career. As an active researcher, he has separated himself from his peers by pioneering key analytical, numerical, and experimental methods used in the design and analysis of vibrating continuous systems, compressors, engines, and tires, developing not only fundamental understanding, but aiding the 50 plus companies he regularly worked with on more practical engineering problems. Dr. Soedel’s main interests are in mechanics, particularly in vibrations and dynamics of solids, liquids, and gases. He has published 234 papers in journals and proceedings, one textbook on vibrations of shells and plates, one encyclopedia article, and five short course textbooks on valve dynamics and gas pulsations in machinery. Dr. Soedel is a Fellow of the American Society of Mechanical Engineers and a member of the American Academy of Mechanics, the Acoustical Society of America, the Society of Experimental Stress Analysis, Sigma Xi, Pi Tau Sigma, and Tau Beta Pi Engineering Honor Society. He is a recipient of the Harry L. Solberg Teaching Award twice, the Ruth and Joel Spira Award, and the Ralph Coates Roe Award from the American Society of Engineering Education.